A unique twist on guacamole, combine avocados, feta and jalapeno for a thick and creamy dip with a hint of spice and a burst of fresh flavour. While people go nuts over the Superbowl and all of that tailgating food, like buffalo chicken wings, and guacamole, I’m more about the Oscars and avocado feta dip. It’s very enlightened of me, don’t you think? For me, February always means the time of year to look back and celebrate a great year of film. I usually love to throw an Oscar Party or at least have a few friends over to watch the show, last year I even shared my Oscar menu leading up to the big day. 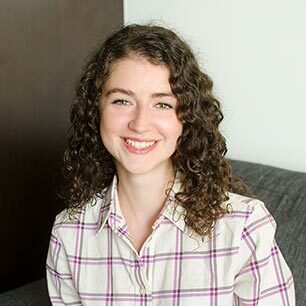 Unfortunately, this year I have a bunch of midterms and papers due which means I will be watching the Oscars from my couch, in sweat pants, going over flashcards during commercial breaks. Does it get any more glamorous does it? I mean, I know you’re not supposed to study while doing other things, but I think studying for film exams while watching the Oscars is ok. Right? Wish me luck. How to stop avocado dip from going brown? This avocado feta dip uses lemon juice–the acidity in the lemon juice will stop the avocado from oxidizing (which is what makes it turn brown). You could also use lime juice as well if you don’t have lemons on hand. This dip is delicious and you can think of it as a unique spin on guacamole. My whole family devoured it within seconds and I had to make another batch for tonight. This dip has a bit of spice from jalapeño, but if you’re not into spice, you can easily leave it out. Along with the avocado and jalapeño, this dip relies upon the salty and slightly tangy feta for added flavour. I find avocados really need a lot of salt, so the savoury feta element does the trick with this dip. I also use cilantro to add a burst of freshness to the dip. Guacamole essentials, onion, garlic and lemon juice also make an appearance as part of this dip to help balance the flavour profile. Whether you’ll be tuning into the Superbowl or the Oscars are more your thing (no shame! 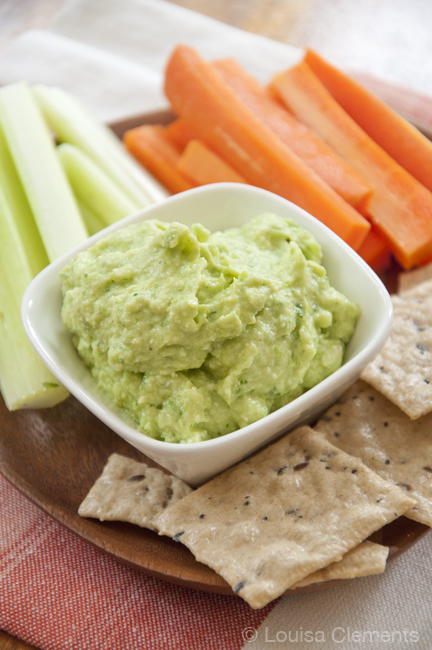 ), this avocado feta dip is the perfect update on classic guacamole. You can serve it the way I have in the photo above, with some celery, carrot sicks and crackers. It would go really well with red peppers also. Yum. 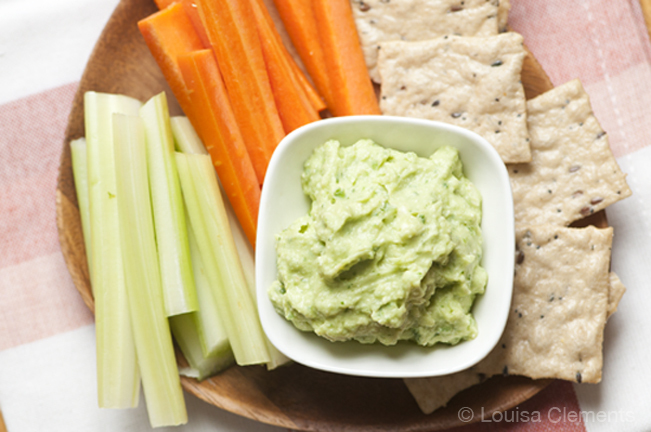 The tang of the feta pairs so well with the creamy avocado - a perfect healthy dip! In a food processor, pulse avocado, feta, onion, garlic, cilantro and jalapeno. Scrape down the sides of the bowl, add lemon and olive oil. Pulse again until smooth. This Avocado Feta Dip is so easy and full of flavour; I can foresee this dip having a constant presence in my fridge from now on. Now this looks absolutely amazing. I'm in! Pinned and tool photo of the ingredient list!